First, let me say how much I appreciate your commitment to MoneyOnMobile, Inc. and our mission to build a world-class payment business serving the un-banked and under-banked population in India. We have made great strides toward realizing our goal of being the largest most comprehensive such company in the world's most vibrant and dynamic market. Recent events in India have - for the time being at least - taken that vision away from us. Our company in Mumbai has been the target of a premeditated, carefully orchestrated hijacking at the hands of individuals, some of whom have been accused of serious crimes, as well as members of the Indian management team with whom we had been working for six years. I can't begin to describe to you my sense of outrage at the actions this group have perpetrated. I am committed to doing everything within my power and the resources of MOMT to restore the status quo and reinstate our contractual rights to ownership and control of the company in India, which have been taken away illegally. I hope I can enlist your help in this effort. The illegal actions taken by the hijackers are, by their very nature not fully known to us. However, we have pieced the story together through various sources and done the best we can to separate fact from rumor before presenting the results to you. This effort has taken some time, but we have put accuracy first. The purpose of this letter is to bring you current on events in Mumbai and let you know what we're doing and how we intend to recover our company. On August 22, the Company issued an 8K Statement documenting that, during the month of August, its Indian operations had been hijacked through illegal means. Specifically, the Board of My Mobile Payments, Ltd. (known as "MMPL" - the entity holding the license with the Reserve Bank of India enabling the company to handle domestic remittances) held a Board meeting without our knowledge or participation and installed three new Board members from a group who formed themselves as "LI Digital Payments Private Limited"(known as LexInnova-DPPL or LI-DPPL) and approved the transfer of 50.5% of the shares of MMPL to the LI-DPPL entity. (Note: As of this date, there has been no confirmation of this Board meeting or the actions taken provided to MOMT in the form of minutes or a video recording of the meeting itself - additionally note that "Digital Payments Processing Limited" known as "DPPL" is MOMT's other major legal entity in India). As stated earlier, the hijacking appears to be the product of many months of conspiratorial planning by members of the senior management of the Company's India subsidiary, (hereafter "local management") with whom we have worked for the last 6 years, and the third-party investment group operating under the name LexInnova DPPL (LI-DPPL). 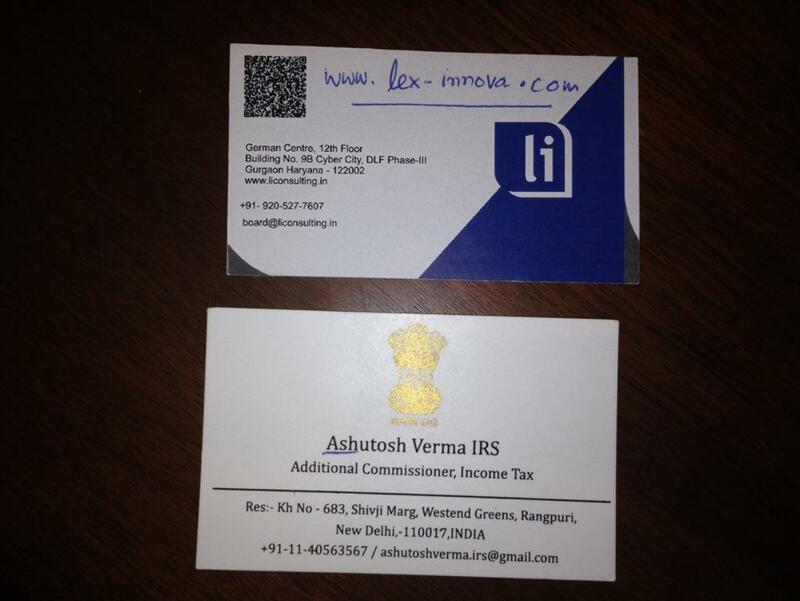 You can see that Ash Verma's purported IRS email is actually a gmail address. 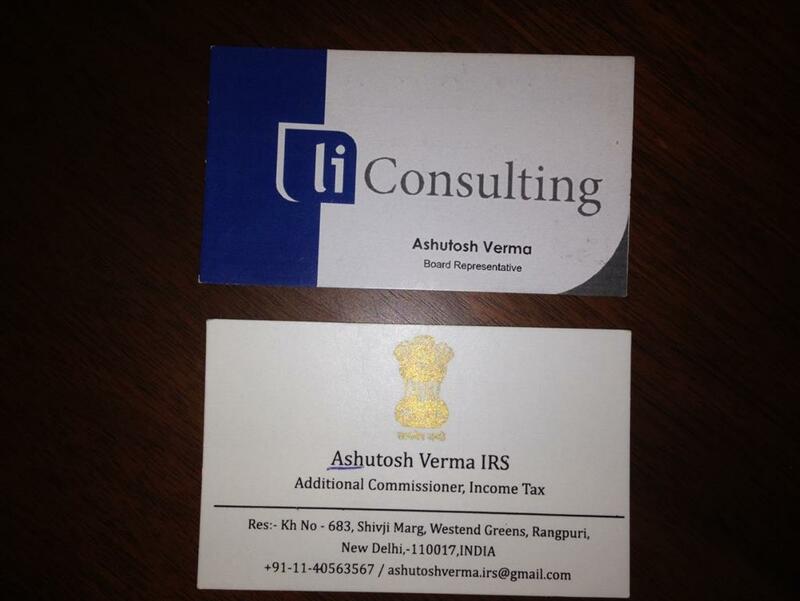 Note that Ashutosh Verma also refers to himself as the Board representative of LI Consulting, a Delhi-based company purporting to assist US companies doing business in India. 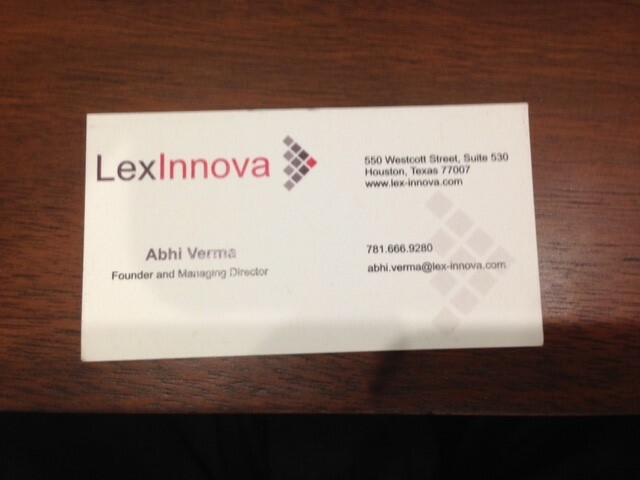 "LI" Stands for Lex-Innova which is the name the Vermas use for all their corporate ventures in India and the U.S. (This name will appear later.) Note also that his title is "Board Representative" and that his email is Board@liconsulting.in. Abhi Verma's deep involvement in this conspiracy is clear. He is one of the illegally elected Board members along with Ram Nawal Verma and Vinamra Shashtri. As further evidence of his participation, Abhi Verma's email to poached employees appears attached as Exhibit #4. In that memo, you will see his full participation in the takeover. He also refers to Ash Verma as his mentor, thereby linking Ash to the takeover as well. Ash Verma and the other conspirators are copied on this email. You will also see Abhi's California business (Lex-Innova) and his address and phone number. There are numerous other violations of the law both civil and criminal, and our contracts in these actions described here. In this case, the management team and the LI-DPPL group are acting with callous and willful disregard for the law, our contracts and good business practices. They are operating in the gray area between what's legal and what they can get away with on the ground in India. They are counting on us to take this hijacking and leave India altogether. That's not going to happen. Our recourse in India at this time is to pursue legal actions to overturn recent events and to pursue the claims for breach of contract in the London Court of International Arbitration ("LCIA"), which is specified in our various agreements. LCIA is a well-known venue for disputes of this nature and to our knowledge, Indian courts have never overturned an LCIA verdict. We believe our case is strong at the LCIA and that the Company should pursue its claims there immediately. The LCIA process is costly and will take at least 3 to 6 months to complete and perhaps longer. It may be advisable to arbitrate in Mumbai if we believe we can get a faster resolution using that venue. No set time fame or cost estimate can be given at this time. MOMT's Indian subsidiaries have been the target of a willful conspiracy to defraud our investors out of their significant investment in India through an illegal hijacking of the company and its employees. Our sense of astonishment and outrage that these events could occur is unlimited. We intend to pursue our legal rights to own and operate the business until they are fully implemented and recent events are overturned. We will not surrender to this piracy. Corporate raiding of this kind cannot be tolerated in our case or any other. MOMT's view of the market in India is as optimistic as it ever has been. As evidenced by recent growth in the company, we believe that the market opportunity for MOMT services is as vibrant as ever and the value creating strategy we are pursuing is as strong as ever. I speak for everyone here at MOMT when I say that we have been honored by your faith in us. Our shared goal of building a meaningful enterprise in India - the largest remaining market in the world - was within our grasp, only to be stolen at the last minute. I believe that the Indian Government will not want this sort of piracy to stand - it is a clear warning sign to any foreign investor to stay away from India and the Modi government in particular should act to overturn these matters if we can locate the right person at a high level. "To forgive and accept injustice is cowardice. Make injustice visible." Exhibit #2 - Incorporation Sheet of LI-DPPL Showing Vermas as Directors and date of February 28, 2018. "Board agendas will be discussed between representatives/nominees of each of the Parties and for the avoidance of doubt, items included therein may be requested by any of the Parties. The minutes of the meetings of the Board shall contain a fair and correct summary of the business transacted at the meeting. The draft of the minutes of the Board meeting as approved by the Chairman will be circulated to all Directors not later than 7 (seven) Business Days after the meeting in question and submitted to the next Board meeting for formal approval." 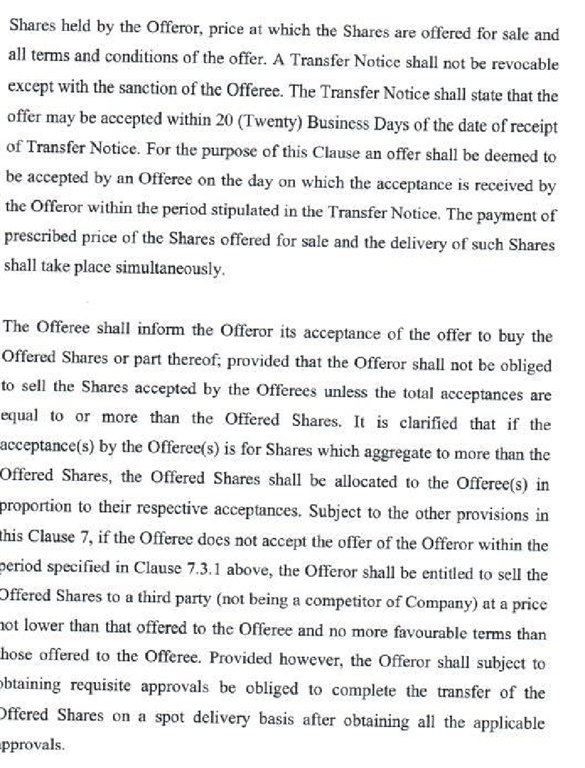 "Notwithstanding anything that is contained in this Agreement, the Shareholders agree that no action shall be taken or resolution passed by the Board, committees of the Board, nor shall the Shareholders permit or agree in any action being taken, with respect to the following Reserved Matters without the affirmative vote of at least 1 (one) Director nominated by each of Company Founders and Calpian at the Board or committee meetings and at least 1 (one) affirmative vote of each of Company Founders and Calpian at general meetings, as the case may be." "11.6.13 Initiation, settlement, compromise or termination of any judicial process including but not limited to litigation against or by the Company." "11.6.16 Appointment or removal of Directors and auditors." "11.6.19 Any decision to (x) hire/fire of the (i) Key Management Employees or (ii) other employees earning in excess of the Rs. 2,50,000 per annum or (y) change their terms of employment of the employees." "11.6.21 Any execution, termination or amendment of any contract with a Related Party including without limitation change in the terms of employment of any Key Management Employees; or any transaction between the Company with any Director officer, or Key Management Employees of the Company, with any family member of any such Director, officer, or Key Management Employees, or with any entity owned or controlled by any such Director, officer, or Key Management Employees or any of their family member." "11.6.27 Any Increase of the remuneration of a Director or Key Management Employee or any other employee of the Company over and above the limit agreed and approved in the annual budget." "11.6.28 Changing the number/ structure of the Board." "Provided, however, that the affirmative vote of such Director any be communicated to the Board in writing in the event that such Director is unable to remain present at that Board meeting and that such communication shall be deemed as if the Director had personally attended the Board meeting and voted on such Reserved Matter." It was an honor to meet you all last week. As I reached back to the U.S., I carried with me some of the passion and excitement that you rubbed on my shoulders. As I said last week, we came here because we believed in your potential to be not only the best company in India, but the best fintech company in the world. While you have seen success, I could clearly see the hunger in you to do more. We are here to give wings to your individual career ambitions and collective Team aspirations, while constantly working towards changing the world around us through technology. You empower the poorest of the poor in India to do amazing things with your creations. I know it can sound hyperbolic - and yet it's true. We are here because you have an unprecedented opportunity and tremendous team spirit to make an impact. As we start a new phase of our journey together, I wanted to share some background about myself and what inspires and motivates me. I am 39. I've been married for 8 years and we have a daughter who goes to second grade here in Cupertino. And like anyone else, a lot of what I do and how I think has been shaped by my overall life experiences. I have juggled diverse careers in the past metallurgist, career diplomat, patent consultant, AI engineer, and a serial entrepreneur. I have travelled more than 50 countries. Many who know me say I am driven by curiosity and thirst for learning. I sign up for more online courses than I can complete, buy more books than I can finish. As Mahatma Gandhi said, "Live as if you were to die tomorrow. Learn as if you were to live forever." I believe over the next decade technology will become even more ubiquitous and business intelligence will no longer be the name of any department. Both will melt together with our day and day business operations. This will be made possible by an ever growing network of our retailers and end consumers, incredible computing capacity from the cloud, insights from big data, and intelligence from machine learning. This is a critical time for the industry and for MoneyonMobile. Our industry does not respect tradition - it only respects innovation. Our biggest priority in the coming months will be to empower you to learn and innovate. Our job is to ensure that MoneyonMobile thrives in a mobile and cloud first world. To quote Terry Pratchett, the famous British novelist, "A lie can run round the world before the truth has got its boots on." Our journey should start with shielding ourselves from lies, building a culture of trust, having a clarity of purpose and sense of mission that will lead us to imagine the impossible and deliver it. Each one of us needs to do our best work, lead and help drive cultural change. We need to prioritize innovation and learning. Finally, I truly believe that each of us must find meaning in our work. The best work happens when you know that it's not just work, but something that will improve your personal and other people's lives. Many companies aspire to change the world. But very few have all the elements required: incredible talent, team spirit, a great product and now an investor who sincerely believes in your vision and is committed to stand by you. MoneyonMobile has all the elements in place to be a great company. And as a partner in your journey, I can't ask for a better foundation. Let's build on this foundation together.